Please contact us for customized price quote. Epic's owner Taylor Griswold juggles fire! Check out these fun examples of our work! Our Face Painters are amazing! Thanks to our great volunteers! Balancing a lit match on his nose! Our DJs liven up any party! A teacher gets caked in the face by Kazoo! This students hangs on for the ride of her life! Another excited audience ready to have some fun! Some enchanted fans react to an illusion. Our magic is so much fun! Tons of fun team games are available. Epic's owner Taylor Griswold balances a spinning plate...on his chin! Our shows are packed with variety. Any trick is possible for Superman. DJ Darrell teaches kids some fun dance moves! This little 1 year old loves his new friend! EPIC provides fun, interactive entertainers for adults and kids throughout Texas! EPIC Entertainment has Austin's top School Assemblies, Church Programs, Magicians, Jugglers, Fire Dancers, Aerialists, Balloon Twisters, Face Painters, Stilt Walkers, Contortionists, Caricaturists, LED Dancers, DJ's, Photo Booths, Musicians, Sword Swallowers, Henna Artists, Costumed Characters, Mermaids and Santas for your event in the Austin, Texas area. Our professional and fully insured entertainers are perfect for all occasions. We specialize in customizing content to suit your needs. With over 4,000 public and private events performed nationally, EPIC offers the best entertainment in Austin, TX. I cannot express our gratitude and excitement for Epic Entertainment. Taylor performed at our son's 5 year old party. He captivated the attention of children, parents and college students! Although I read other reviews, I was still a little skeptical because I couldn't imagine 5 stars from all reviews; how often do we see that?! I was proved completely wrong. Taylor was professional, eager, friendly, funny, etc. I am proud to have met him. EPIC has gained a family of fans for life! AWESOME entertainment. Loved, loved, loved it. Taylor was AWESOME! The kids LOVED the show and the birthday girl felt like a real star. We had a wide range of kids from 2- 8 years and they were all so engaged in the show. We also had Taylor play some games with the kids prior to the magic and it was worth every penny. Lots of parents were interested in getting his contact info for a variety of future events. We couldn't have been happier with the show. I contacted Taylor with epic entertainment and he quickly responded to my request for an entertainer for my daughters 5th birthday party! Taylor was very professional and great to work with! He booked an amazing juggler/balloon twister named Jack and we were thrilled with Jack's performance! He not only made it fun for the kids but for the adults as well! You are going to love his show! His balloon twisting skills are Amazing! Epic / Taylor did a fantastic job for our corporate event. Scheduling was easy and communication great. He arrived early and kept our entire group laughing out loud for the entire time. We'd definitely recommend him and look to have him back. Adults loved the program as much as the kids! Our church kids ministry hosted Taylor Griswold with EPIC Entertainment for a Promotion Party in June 2015, and it was a huge hit! The kids and adults all had a blast, and he did a great job sharing the Gospel through his activities and stories. The kids loved his sidekick Kazoo, the World's Funniest Dragon. It was easy to communicate with Taylor, he arrived on time and left our building with no mess from his show, and gave a top-notch performance! I loved how he involved the kids--whether that was bringing them onstage or using them in the audience, all of the kids felt they had a part in the day. We can't wait to have them back again. I recommend hiring EPIC for your next kids event! Sage and Ciara provided a performance at our destination wedding on Lake LBJ recently. The show was exciting and our guests loved every minute of it. The choreography was perfect, coupled with some thrilling and skillful moves with the fire batons. They chose great music and even added a large, blazing heart in the background. Sage and Ciara are beautiful, talented dancers and their costumes were great as well. Our guests are still talking about the beautiful fire dancers. Thank you for making this an event to remember! Taylor came to perform for our cub scout blue an gold banquet. I've never seen my boys so enthralled with a performance. He kept them entertained and laughing the whole time. He made sure each boy got a turn to help with the magic tricks too. Even the adults were impressed with his performance. Very professional and very kind and patient. Would definitely use Epic Entertainment again. So professional and the kids had a wonderful time. I think the parents even enjoyed it too. We give EPIC our highest recommendation. Epic Entertainment helped me organize a fire performing show for my wifes surprise party. Taylor was super patience, worked with me on my budget, and presented me with numerous options to consider. He was able to get me more for my money through his negotiations with the groups that he represents and helped me receive an absolute awesome show. I highly recommend using EPIC for your entertainment needs...they are experts and awesome at what they do! Taylor with Epic Entertainment was suggested to me by another entertainment group I found online and I could not be happier with my experience. We had two separate Halloween events happening on the same evening. While I was running around coordinating vendors I notice Taylor and the other performer had arrived early, set up and were stilt walking and greeting guest who were arriving early. I didn't have time to micro manage another vendor and there was no need with Epic. From the simple instructions of our brief email communication Taylor transitioned from stilt walking to roaming magician and was entertaining groups of parents, kids and families all night. In the week following the event I have had requests for our Halloween Stilt walkers and Magicians at all our upcoming events. If you are looking for self sufficient, versatile entertainers who will end up being the most talked about aspect of your party book these guys. We had Mr.Taylor Griswold from Epic Entertainment perform at my son's 4th & 5th birthday party. Mr.Taylor's magic show was excellent and kept both the kids and adults engrossed in his show. The kids actually sat throw the whole one hour show and enjoyed it. Even the adults had fun along with the kids and was entertaining for the crowd. I highly recommend Taylor if you are looking for that smile and cheers from your kids on their party and want them to have a fun filled show. Taylor really understood what we were looking for when we asked for talent for our daughters' 3rd & 5th birthday party. We had a magician & face painter. The talented entertainers kept even the 3 years olds engaged. We recommend this company to anyone needing reliable service for entertainment. This service added the little extra that made our party special. Even the adults had a great time. Thanks again Taylor! So thankful I hired Epic Entertainment for my sons 1st bday! I hired Taylor without knowing too much about Epic other than what I had read in the reviews!! I had been planning my sons 1st birthday party even before I knew I was having a son, (lol) so in other words everything had to be perfect!!! Well not only did Taylor make sure everything was perfect but he truly exceeded my expectations!!! We had a circus themed party, Epic did all the decorations, we had a roaming juggler/magician, face painter and ballon twister. They all did a fantastic job, they were definitely all very experienced. We also had a 45 minute show that consisted of magic, hula hooper and cyclist! These individuals were very talented as well. They involved the children in the show which the kiddos loved. But the greatest part of it was that the adults were entertained as well. I heard many positive comments from friends and family that they loved it. Everybody sat through the entire show because it was so entertaining!! Taylor was great to work with!! He is very patient, attentive and easy to communicate with! Great job Epic!! I am one happy customer!! Just moved to the Austin area and needed to set up a great birthday party for my three-year-old son. I called Taylor with a few days to spare and he made everything happen. My son had an awesome party with his favorite super hero, a bouncy house and some stage magic from Taylor himself. It's hard to describe how he goes from impressing a three year old with some disappearing objects to captivating ten adults a few minutes later with another trick--all without losing anyone's interest. Our guests wanted his business card, wanted to know where I found him, etc. and I'm really, really glad we hired him and his team. I told you I would be back. After experiencing EPIC this past March, we called on Taylor's talent again for a Back to School Bash. Just like last time, booking the entertainment was pleasant and not a bit stressful. We received many compliments from parents, school administrators and most of all, the kids. Thank you, thank you, thank you! EPIC was a great addition to our event! We hired Epic to provide entertainment at our family friendly fundraiser event promoting Austin Achieve charter school and the Real Estate Council of Austin. There were people of all ages, from 2 - 80 years old at the event. Our thoughts were to hire Epic to help entertain the kids while the adults enjoyed the live music and food/drink. This lasted about 2 minutes and before too long, there were many adults surrounding Epic's magician in awe of his tricks! He was the hit of the event and many people afterwards were asking how we found him. I highly recommend Epic Entertainment. They were punctual, professional, and very fun for all ages. Would definitely hire again! We were blessed by Taylor's entertainment! He was great at age appropriateness! We would HIGHLY recommend him! Hoping to use him again soon! We hired Jan through Epic Entertainment to face paint at an event. She was extremely talented, and we were very popular at the event because all the kids wanted to get their faces painted. The designs were amazing! And she was very quick, so the kids didn't have to wait in line very long. I would definitely recommend this company to anyone who wants to hire a face painter or any entertainment. Taylor was so funny and entertaining and professional; we had so much fun with him at my friend's birthday party! He has such a good read for a crowd and we loved every second of his performance! Would def hire him again! We had Taylor come out for our 5 year old's birthday party, and are so glad that we made the right choice. Taylor was friendly and interacted wonderfully with all the kids. Everyone incl. adults were thoroughly entertained and enjoyed both the magic show and juggling. We would highly recommend him for similar events!! EPIC recently set up a fire show for our Cub Scout Pack's Arrow of Light ceremony. Taylor was superb in helping to work within our short time-frame to the event and our budget. I appreciated his help & ideas for setting up a great show for the kids. Also, the fire performer Sage was very professional and tailored her unique performance for the kids. Not only was it a big hit for them, but the adults thoroughly enjoyed it. Both of them exceeded our expectations and made the event a memorable one. Cory from Epic Entertainment came to my son's fifth birthday party as a clown and balloon maker. He was amazing! Great with the kids and the parents alike. We had a small party (only six kids), and Cory just did not stop. Each kid got as many balloons as they would stand still for. Swords, flowers, super heroes and wildlife--he could do it all. Also, Taylor, who was my "liaison" with Epic Entertainment was professional and helpful. I couldn't be happier. My daughter has already "booked" him to come back for her birthday. We can't wait! WOW!!!! What an amazing show! We had hired Taylor for my daughter's birthday and were absolutely delighted by the way he interacted with the audience and really got the kiddos involved. The age group was very spread out from 1 all the way to 54 years old and everyone had a great time! I highly recommend Taylor for your next party or function he will not disappoint! Epic Entertainment was prompt, professional, and very entertaining for kids and adults. They were on time, set-up and ready to go when the party began. They captured everyone's attention and held it for 45 minutes until the end of the show. In fact, the crowd grew the longer the show went on. I highly recommend EPIC for all your party and entertainment needs. Taylor came dressed up as Elmo for son's 1st Birthday Party. The kids and adults loved it. Most of the kids were under the age of 2 yrs. so simple silly movements made them laugh. I was a little concerned that some of the kids would be scared, but Elmo did a good job at making friends. We took lots of pictures and I am so happy I will always have these photos to look back on as my baby gets older. I'm planning on bringing Taylor back out to do a magic show when my daughter turns 6 next year. I would reccommend him. We hired Taylor for an elementary school event and the kids loved him! He had them engaged from start to finish and the students couldn't get enough. Even the parents were wow'd by some of the tricks! We would definitely hire Taylor and Epic Entertainment again! Taylor with Epic Entertainment was fantastic!!! Taylor did a magic show for our annual Halloween party and he was a huge hit! He really involved the kids and kept their attention the whole time. The adults really enjoyed it too!! He was so kind and professional that I would gladly use him again and again!!! You can't go wrong with Taylor! We hired Taylor for our kids' birthday party (ages 3 and 5). He was very prompt and reliable, and all the kids had a blast at the party. We received lots of positive feedback from the party guests. Definitely a hit...thank you Taylor! We hired Taylor to perform at Herrington Elementary's annual Trunk or Treat event and the kids loved it! Taylor was very funny and engaging with the children - they were 'oohing' and 'aahing' over the magic tricks and having a great time. They couldn't stop talking about the fire juggling and I had numerous parents tell me how much they enjoyed the show too! As a parent and representative for the school, I was so pleased to find wholesome, fun entertainment and we can't wait to have Taylor back next year! Thank you for helping make our event a success! EPIC Entertainment did a fabulous job at our daughter’s party! Taylor the owner offers multiple party packages to fit anyone's budget. The majority of our party guest had never seen a magic show so our expectations were high and Taylor surely knock it out of the park! All of our guests were impressed by him. We had kids from 2-14 in our audience and all of them including the adults were amazed. Our daughter was Taylor's assistant for a lot of the tricks which she just loved. We were very happy with his work and would definitely recommend him to everyone!!! Price Range: Please contact us for customized price quote. Insurance: $1,000,000.00 - EPIC Entertainment has full liability insurance coverage through K and K Insurance Group, Inc. And our clients have the option to be listed as "Additionally Insured" for their events. We gladly send proof of insurance to any of client that needs it. So you can book us with confidence. Always make sure you ask for proof of insurance from any entertainer you hire. Many performers are not properly insured, which could leave you liable. EPIC customizes each show to meet our clients' needs. We have performers for almost any type of event in Austin and all cities throughout Texas including: Mascots, Magicians, Jugglers, Face Painters, Balloon Twisters, DJs, Fire Dancers, Clowns, Speakers & more! Though we specialize in children's entertainment, we also offer incredible options for corporate parties, grand openings, trade shows, weddings, and private adult parties. You can receive a fun, interactive birthday magic show where audience members get to be part of the act! For birthday parties, the birthday child gets to be star of the show! Your child and his friends get to be magician's assistants participating in many of the magical illusions. We even juggle machetes and fire torches! For a finale, our magician makes a birthday cake appear! EPIC offers motivational school assemblies on topics like: Anti-Bullying, Anti-Drugs, STAAR State Test Prep, Health & Fitness, and more. 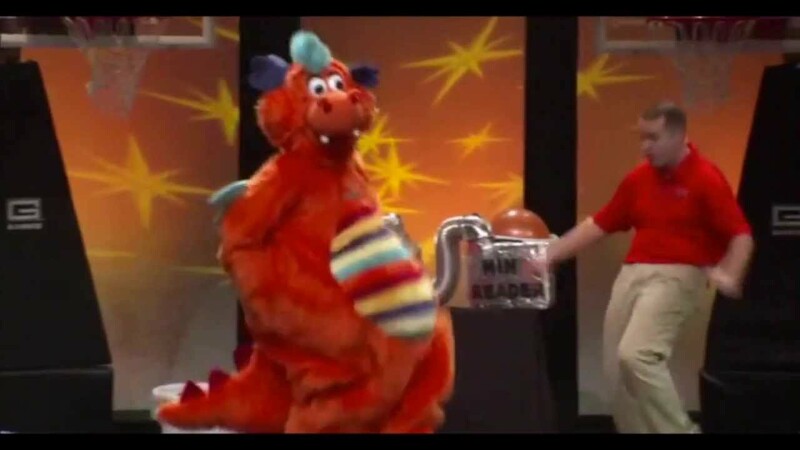 Our hilarious mascot "Kazoo the Dragon" and talented public speaker teach students positive messages through comedy, skits, and crazy fun games. Whether your church needs fun and inspirational entertainment for an Upward Sports Awards Night Celebration, Vacation Bible School, Youth Group Retreat, or Children's Church, EPIC offers Biblical Gospel presentations using mascots, skits, and games to share the love of Jesus Christ with kids. EPIC Entertainment is a talent agency of amazing circus performers available for corporate and private events. 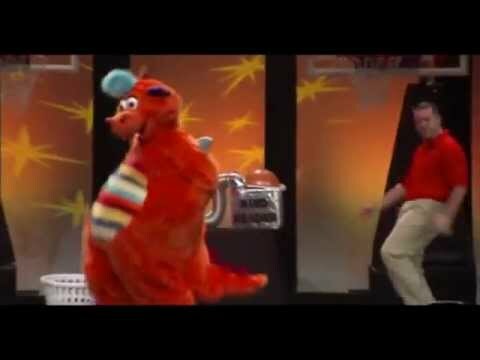 And we are an educational entertainment company that uses high-energy, interactive shows to teach students positive messages at school assemblies and church shows throughout Texas and the United States. EPIC provides high-quality entertainment and event production for any public or private event. EPIC Entertainment's owner, Taylor Griswold, has entertained children and adults throughout the U.S. for 22 years, and has been featured on national TV shows like NBC America's Got Talent, the CBS Early Show, Fox Sports, Fox News, ABC Radio, the NCAA Final Four, and NBA arenas nationwide! Taylor is known as a "Jack of all trades, master of fun." He has experience in public speaking, teaching, acting, juggling, magic, mascot performance, puppetry, music, event planning, sales and marketing, sponsorship activation, computer programming, and sports entertainment. Taylor has a passion for quality entertainment and a BIG heart for kids. While in college, he won the UCA National Mascot Championship representing Auburn University as their official mascot "Aubie the Tiger." Taylor was honored when "Aubie" was inducted into the Mascot Hall of Fame in 2005. Taylor then spent 8 years performing as the mascot and dunk team director for the NBA Detroit Pistons basketball team, captivating crowds of 22,000 each night. Whether we're entertaining for a private party or a large crowd of thousands, we care about providing our clients the best entertainment in Texas. Our creativity, passion, and experience in the education and entertainment and industries cause EPIC Entertainment to be sought-after performers throughout the United States. We accept checks, cash, and all major credit cards for payment. For credit card transactions, there is a 5% convenience fee. 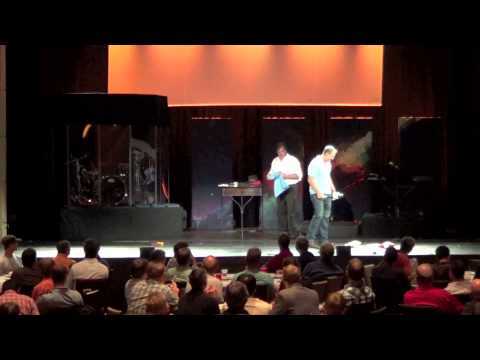 EPIC even provides a professional quality sound system for events that require mics or music.